As the business world progresses every more into a convenient global entity that puts the customer first every step of the way, taking payments over the phone has become an increasingly necessary form of transaction. Customers, whether they are civilians or other businesses, are increasingly expecting this method of payment to make their lives easier. Fail to offer this service and some customers may even take their business elsewhere. If this is a form of payment you’re interested in offering, you’ll need to know where to start. Today, we’re going to explore ours over the phone credit card guide that can show you everything you need to know. The first thing you’ll need to do is to choose which VTP you wish to work with. This will be your mainframe for taking payments and will give you the ability to charge a customer using details they provide over the phone in a safe and secure way. There are many providers out there, ranging from PayPal to WorldPay, so do your research to see which provider best suits the needs of your business. The next step is making sure that your ability to take payments over the phone is as secure for you and your customers as possible. Of course, these forms of a transaction are far risky than if the customer was paying in person. In some cases, you may need to search for your own compliant provider, whereas over VTPs listed above may offer their own services. Whatever the case, all the information you need can be found online. Once everything has been set up, you’ll be able to start taking payments over the phone. This means you’ll want to update your website and anywhere else that your payment options are listed, so your customers know that you’re offering this service. When a customer is ready to pay, get them on the phone, open your VTP and open the ‘Virtual Terminal’ application to start the process of taking the payment. Most providers will provide you with you onscreen instructions on how to take the payment. More often than not, this will simply involve filling out a form where you’ll ask the customer for their details, and you’ll need to fill out the boxes correctly. Make sure that you are filling out the boxes accurately to avoid errors. This will involve reading back the details, especially when you reach the confirm screen to ensure everything is correct. Once the payment request has been sent and authorized, you’ll then need to ask the customer how they which to receive their receipt and proof of purchase. In most cases, your customer will be happy to send a receipt via email, but some may request it through the post. No matter what VTP you decided to use, you should be able to generate a receipt, which makes this part of the process effortless. 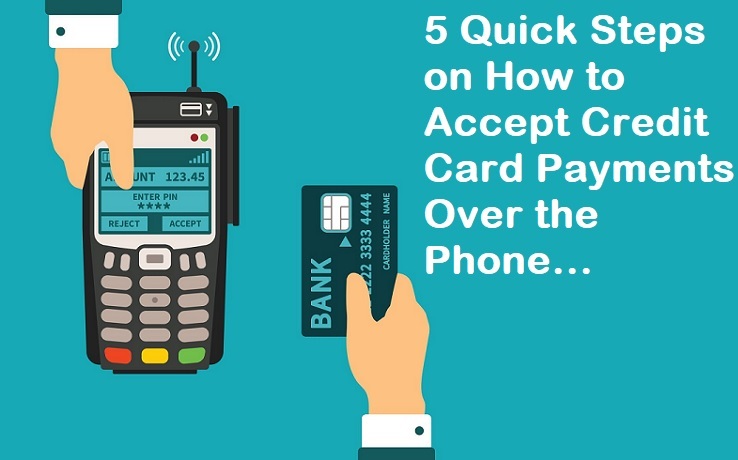 When it comes to taking payments over the mobile phone, the process doesn’t have to be as overwhelming as it may first appear. The steps above are the only steps you’ll need to take and will have you set up and ready to go in no time at all.